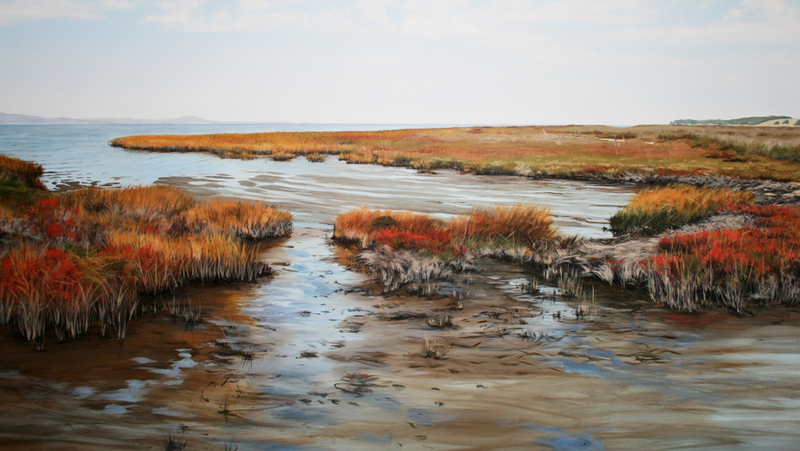 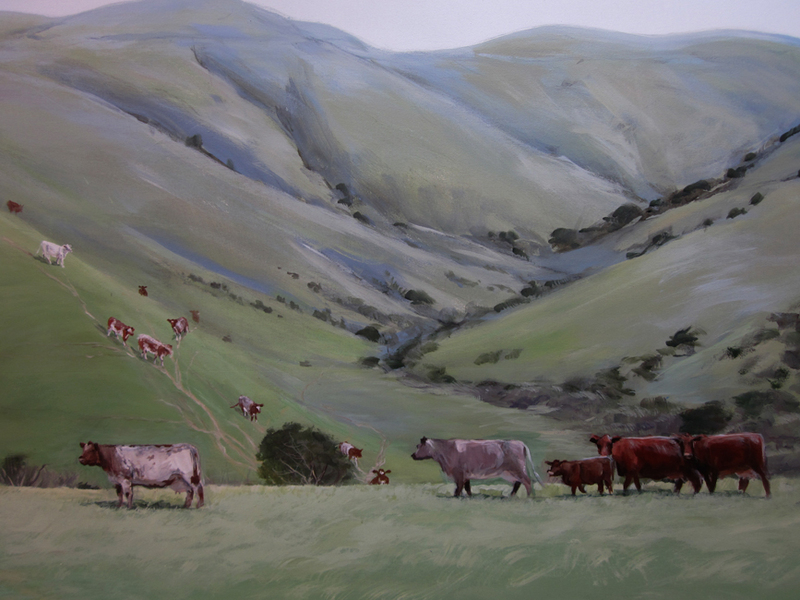 The exhibits in this popular East Bay park highlighting the bay area watershed ecosystems, now include 7 murals and numerous sculpted animal models fabricated by Alumni Exhibits. 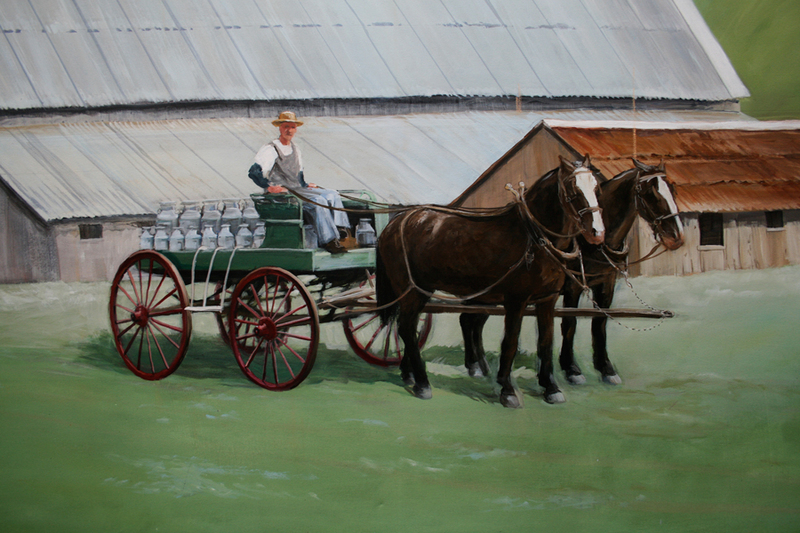 Artists Ali Pearson and Brooke Fancher in front of their mural. 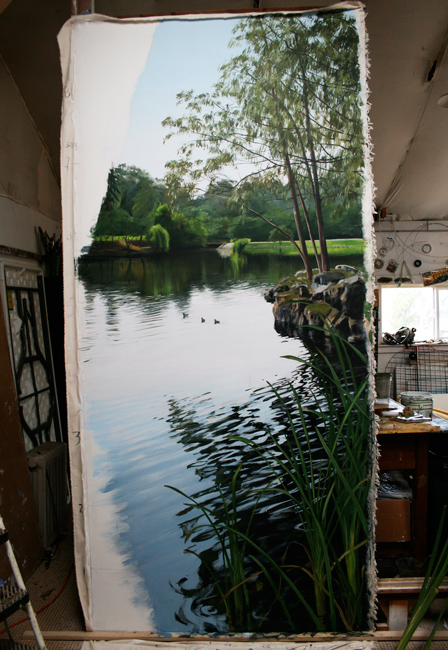 View of oak and willow forest mural in background. 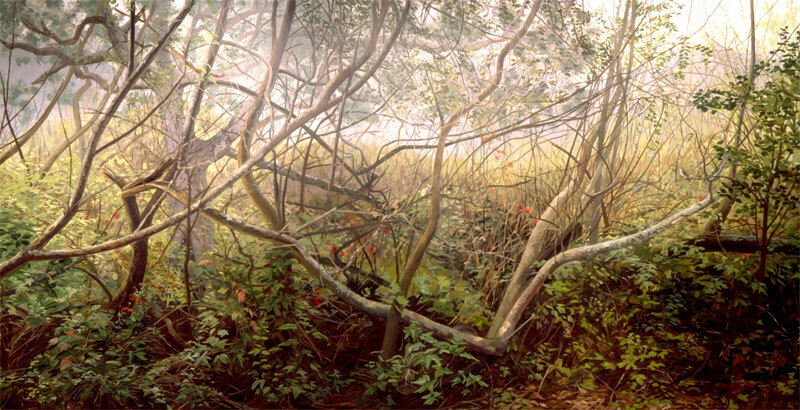 Location: Tilden Park Environmental Education Center, Berkeley, California. 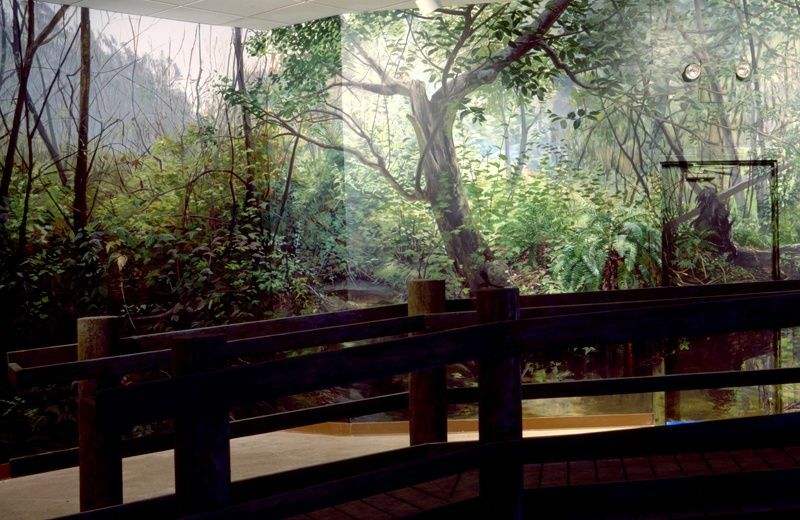 View of oak and willow forest mural. 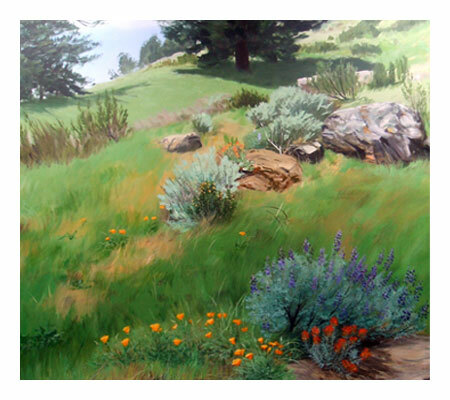 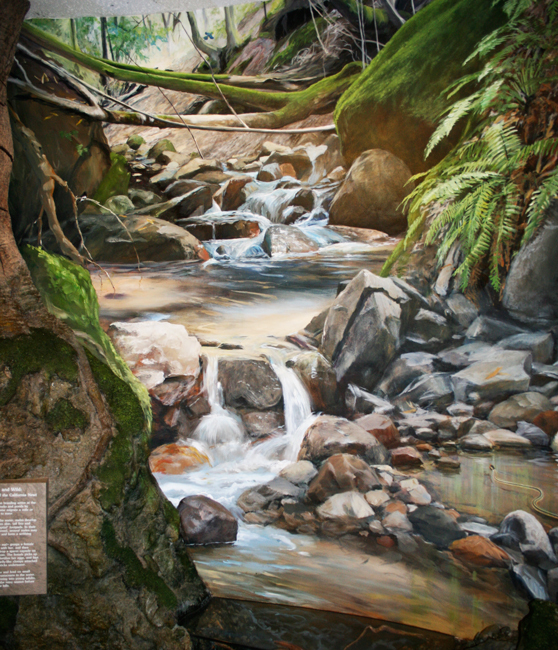 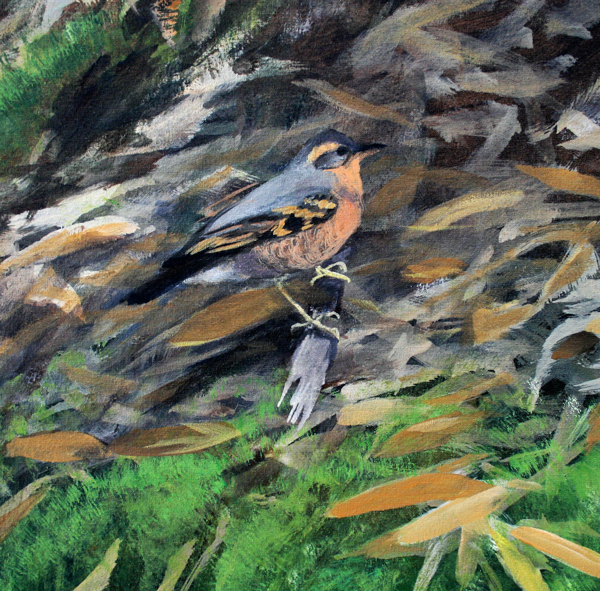 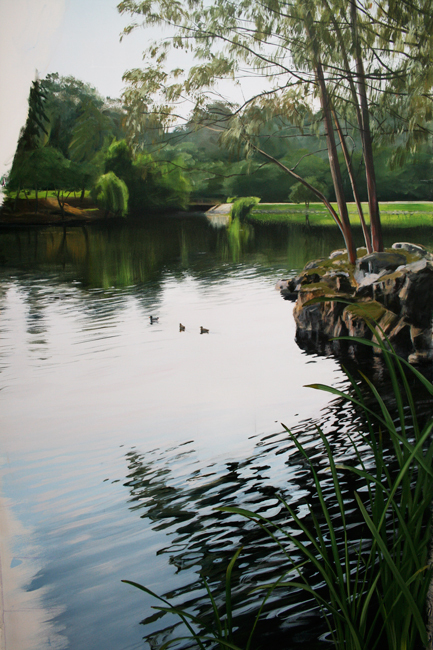 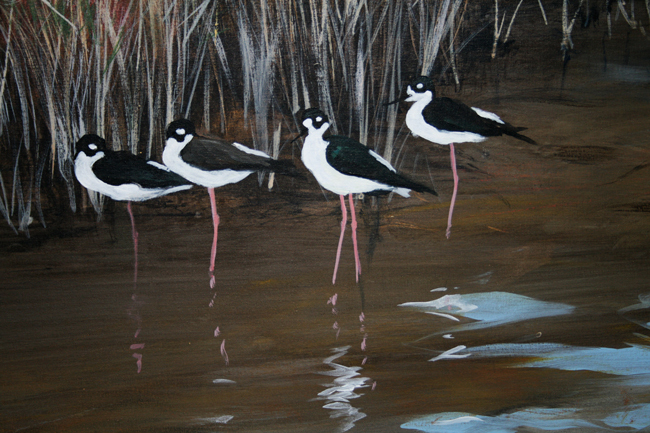 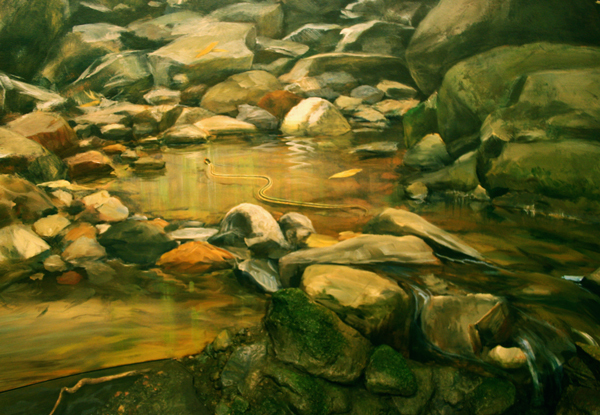 A mural of the area surrounding the Jewel Lake Boardwalk was created by Alumni Exhibits to accompany the watershed exhibit at the Tilden Park Environmental Education Center. 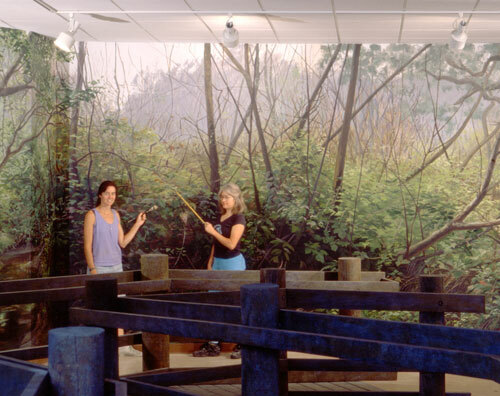 The finished mural depicting the oak and willow forest measures over 55 feet in length. 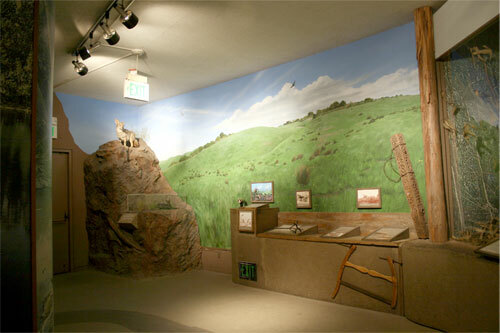 Grasslands exhibit area at Tilden Park Environmental Education Center, Berkeley, California. 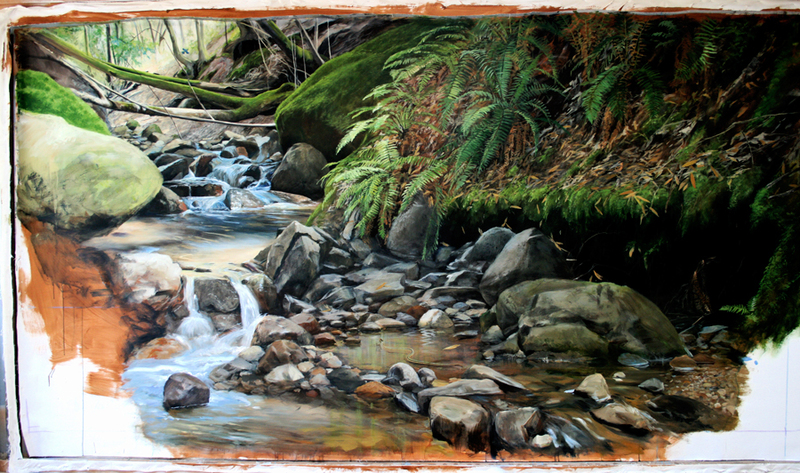 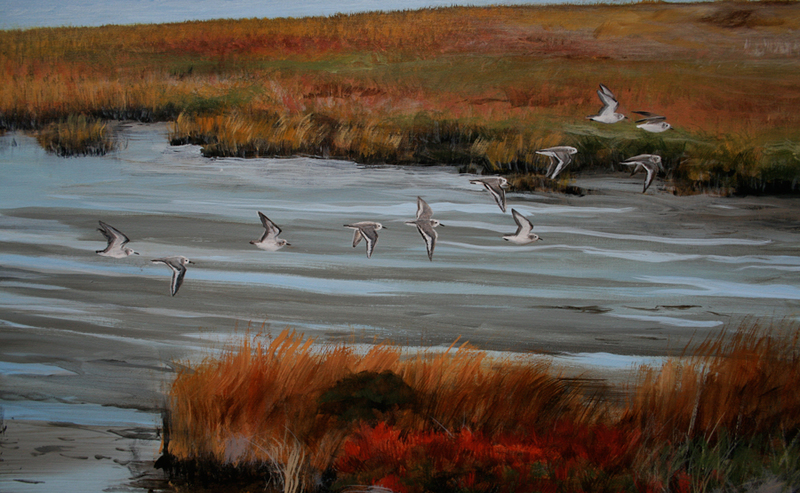 Shown here is a section of the finished 10 x 27 foot mural prior to installation. 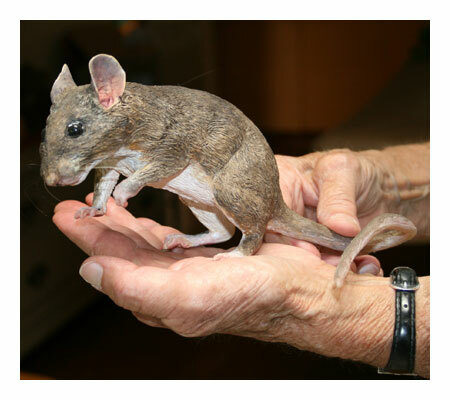 Alumni Exhibits modeled this durable woodrat from sculpting epoxy with transluscent feet and glass eyes. 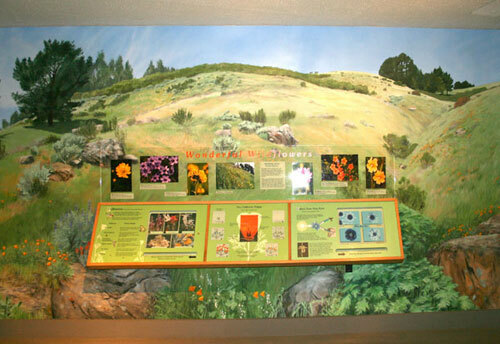 It is installed in an interactive reassembled woodrat nest in the Education Center that the visitor can pop their head up into and see the woodrat looking at them.